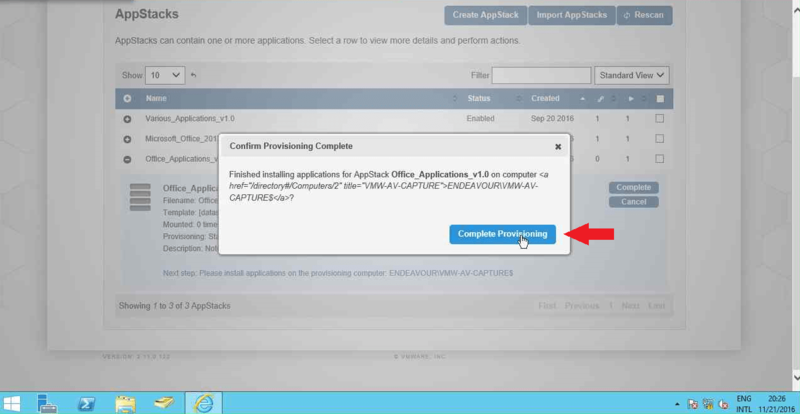 When you provisioned the AppStack to the provisioning machine, vCenter will attach the VDMK to the machine and the machine will be set into provisioning mode. The VMDK attached to the machine is a writeable volume wich will be set to read-only when the provisioning is completed. 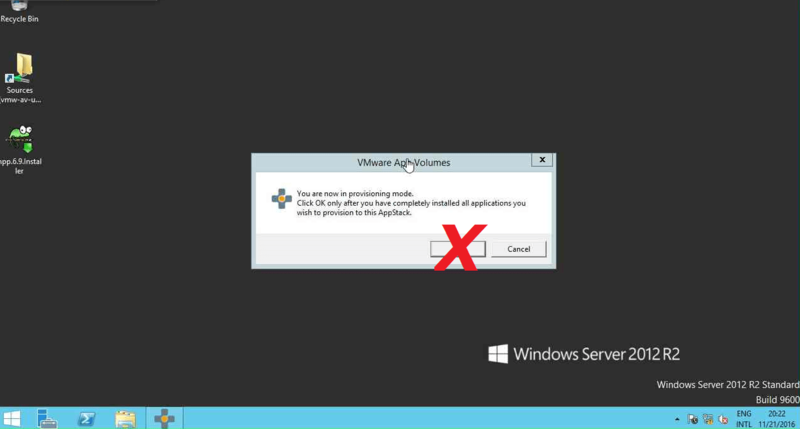 Everything installed or changed will be detected by the App Volumes Agent and captured in the AppStack. One of the things I got exited about is the virtualization of drivers (Note: Kernel drivers cannot be virtiualized). When I was packaging with Microsoft App-V, I always had to think of some way to get the needed driver injected into the local system. 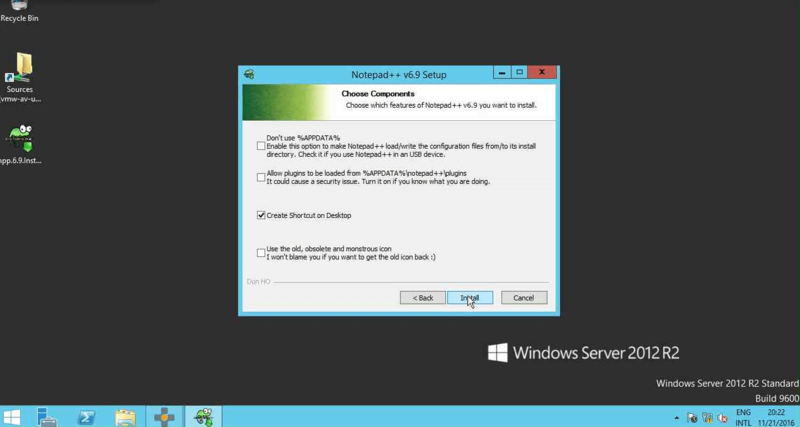 Unlike Microsoft App-V, VMware App Volumes doesn’t use isolation but merges the AppStack with your local system. During the provioning phase, the filter driver captures the application and driver. Because of this, I was able to successfully capture several applications that needed a usb smart card reader. 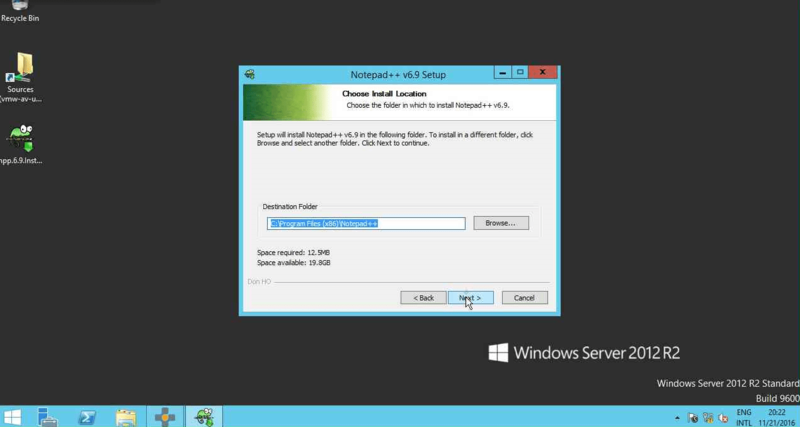 Copy the setup files to your local drive before provisioning. Disable Auto-Update agents/options in the application. Only run the first use tasks if they are not user specific. 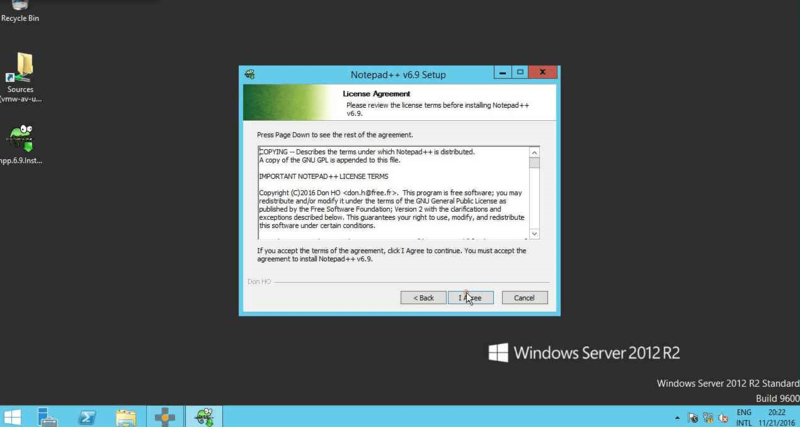 The use of Internet Explorer in an AppStack is not supported. 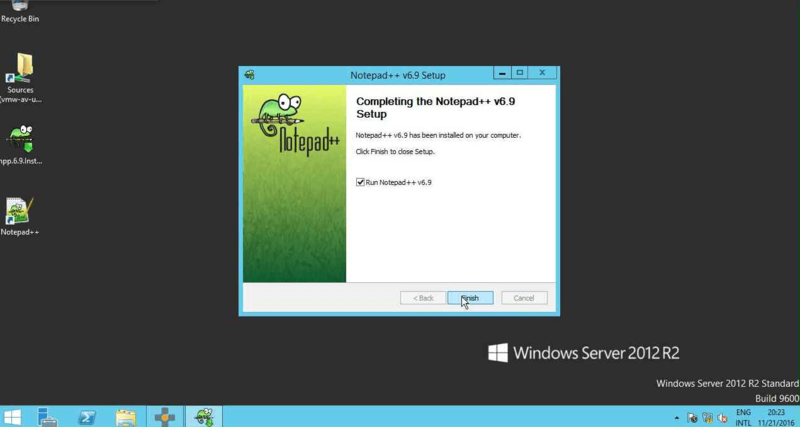 Due to the tight OS integration and dependencies, it is recommended to use an application isolation technology such as VMware ThinApp. 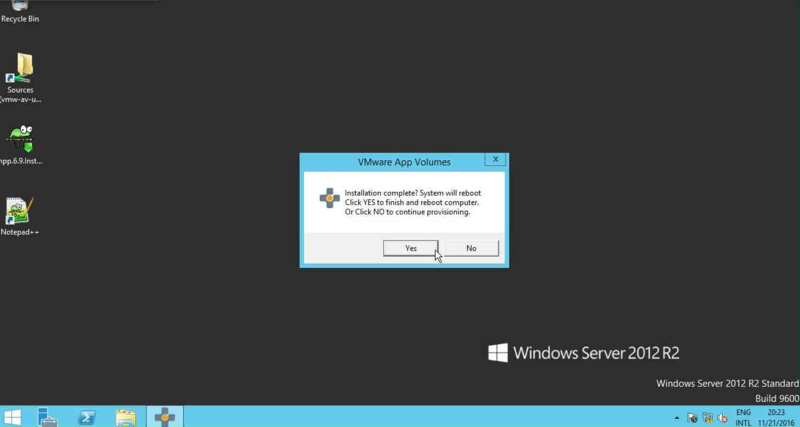 VMware App Volumes can then be then utilized for delivery of the isolated application package. Applications must be provisioned and delivered to the same OS type (32 vs 64 bit). 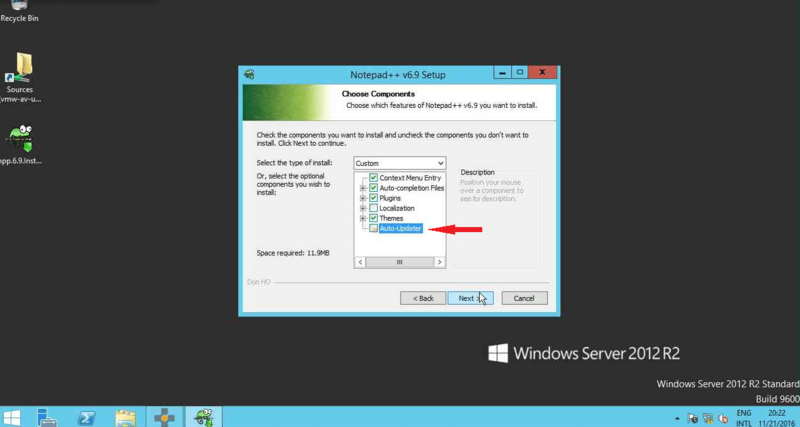 Application dependencies (such as Java, or .NET) should be included in the same AppStack as the application. When provisioning Google Chrome, it must be installed for all users. 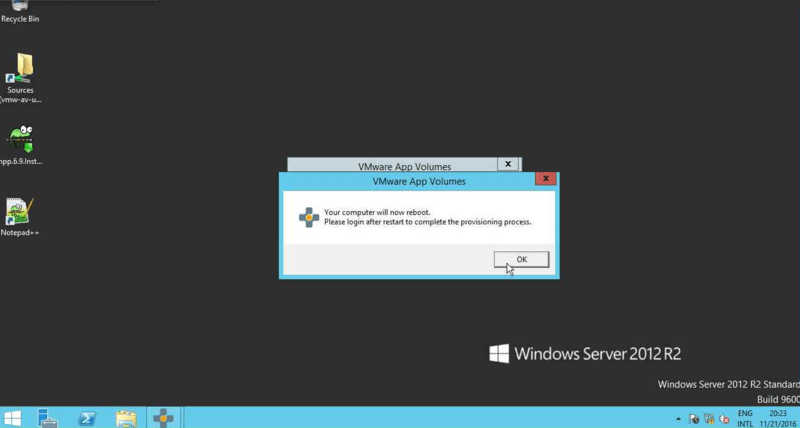 Canceling provisioning from the VMware App Volumes Manager while an AppStack is being provisioned may cause the provisioning virtual machine to become unstable. 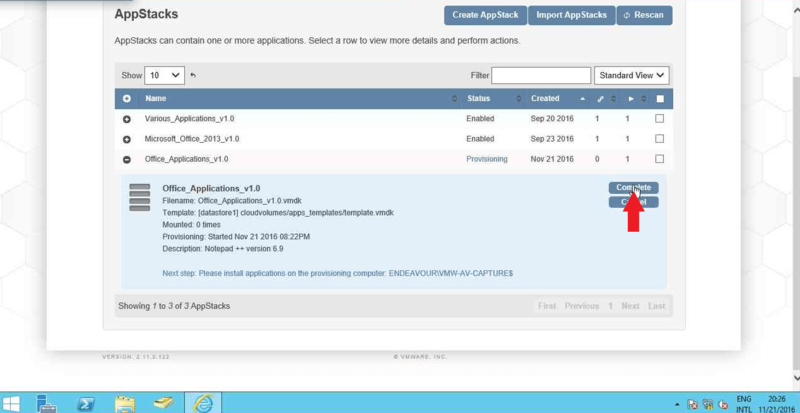 Recommend completing provisioning first and if there were issues, delete the provisioned AppStack and restart the application installation. 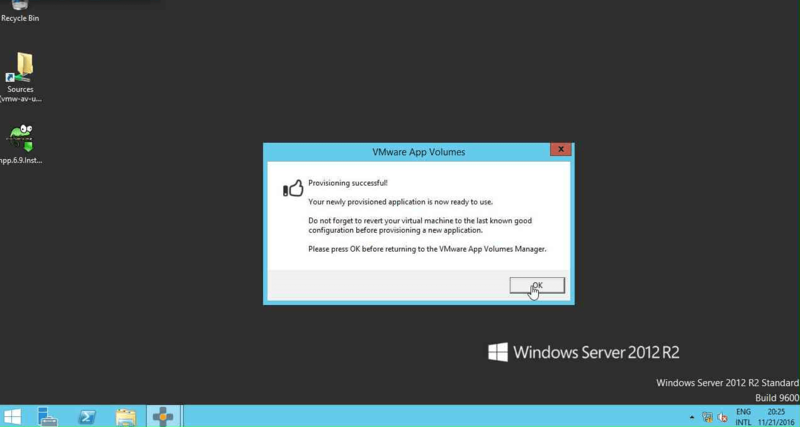 Note: To perform provisioning, the provisioning user must be logged in as an administrator on the provisioning virtual machine. I’ve selected the Create desktop shortcut. You can select or deselect as you like. Click Install. After the installation is complete. Click Finish to start Notepad ++ to run the first use tasks as you like. 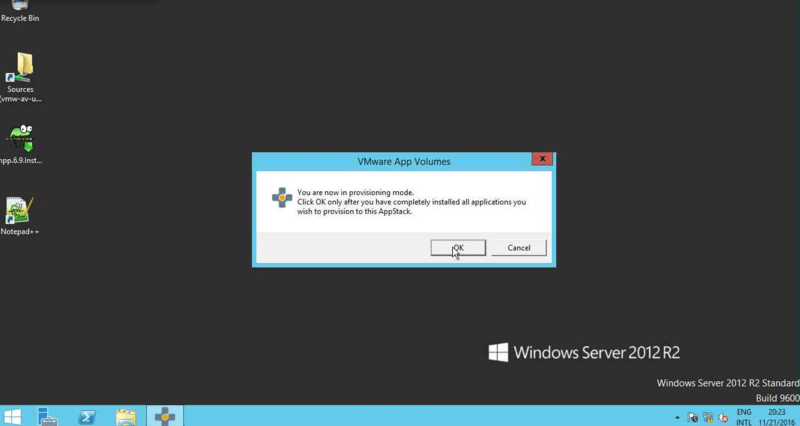 Close the application and click OK on the provisioning dialog box. 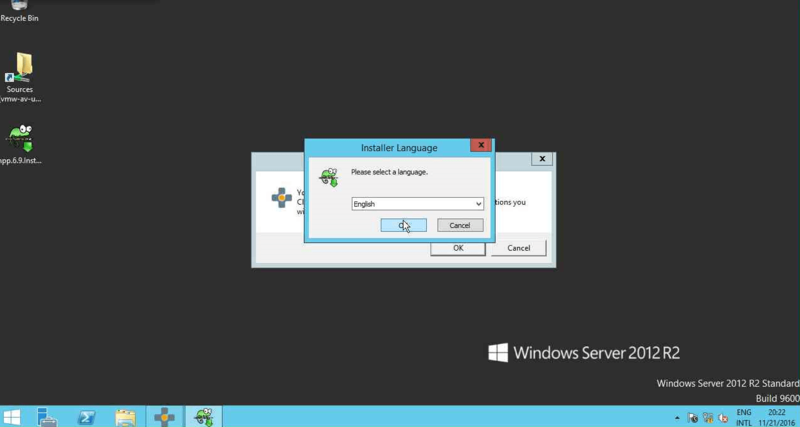 When logged in the provisioning successful dialog box will appear. Click OK to complete te process! Now the provisioning process is completed and you have captured an application. It’s time to edit the AppStack so it can run on multiple operating systems.